Matrix structure diagram is one of the most commonly used reporting structures a company can implement to emphasize efficiency, creativity and innovation. Read on to learn what is a matrix structure diagram, matrix structure diagram examples and the advantages and disadvantages for both company and staff. 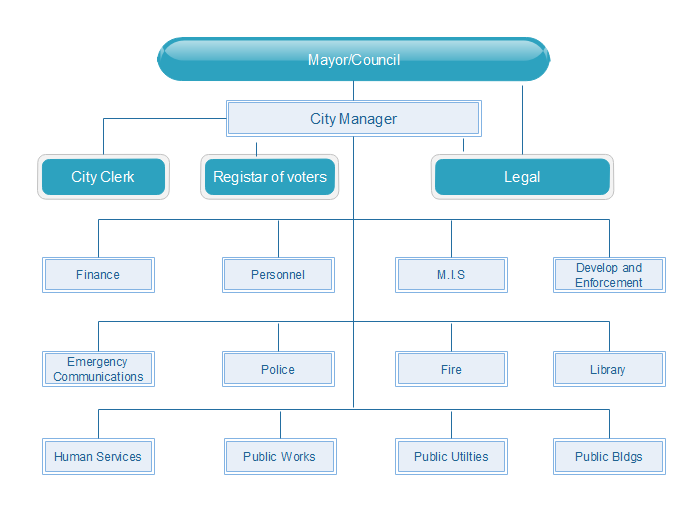 Matrix Structure Diagram, is a hybrid of divisional and functional structure, which is used for reporting levels both horizontally as well as vertically. It is often used when the firm has to be highly responsive to a rapidly changing external environment. Difficult in balance: a conflict of loyalty between line managers and project managers over the allocation of resources. Costly structure: costs can be increased if more managers (ie project managers) are created through the use of project teams. 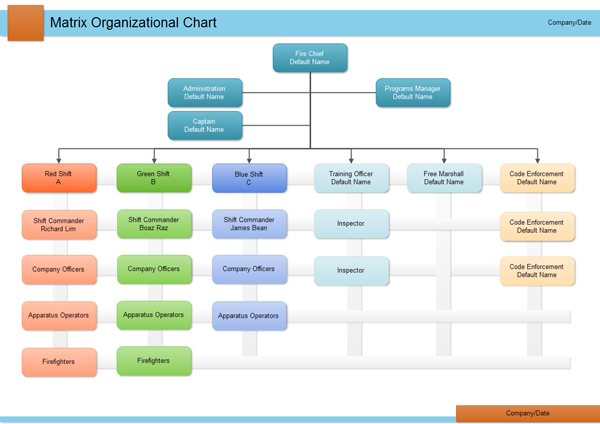 If you would like to know how to create a matrix structure diagram, our Organizational Chart Software would help you a lot. Simply free download it to have a try. Discover why Edraw is an awesome organizational chart tool: Download it Now.